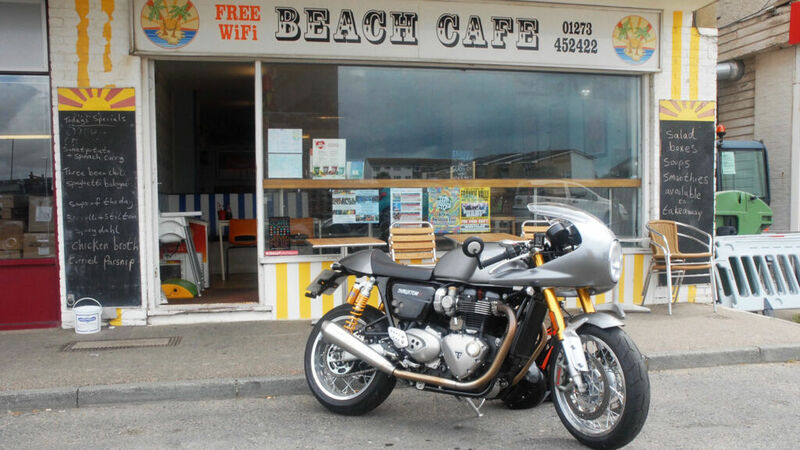 Luxurious magazine’s Jeremy Webb stepped back in time when Triumph UK loaned him their latest Retro styled Cafe Racer. He decided to do the right thing and ride cafe to cafe. The weather we have been having over this summer keeps reminding people of how summers used to be. I keep hearing stories from people of a certain age that their holidays consisted of endless sunny days. This heat wave coincided with Triumph Motorcycles delivering a Thruxton R 1200 to me to review. What better way to relive those bygone summers with a homage to the 1960s, than to ride a modern cafe racer as it is intended to be used. Riding fast from one cafe to another, which were generally from London to the south coast. 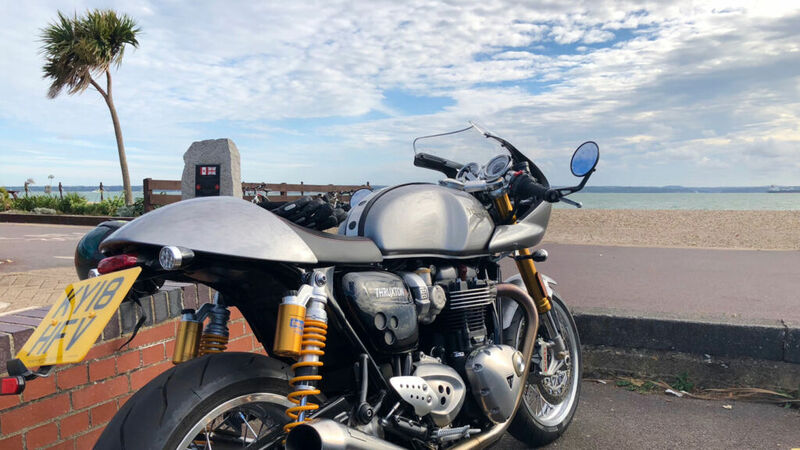 I donned my more retro-styled biking gear and saddled up for a dash from the smoke to good old Sussex by the sea and Brighton. 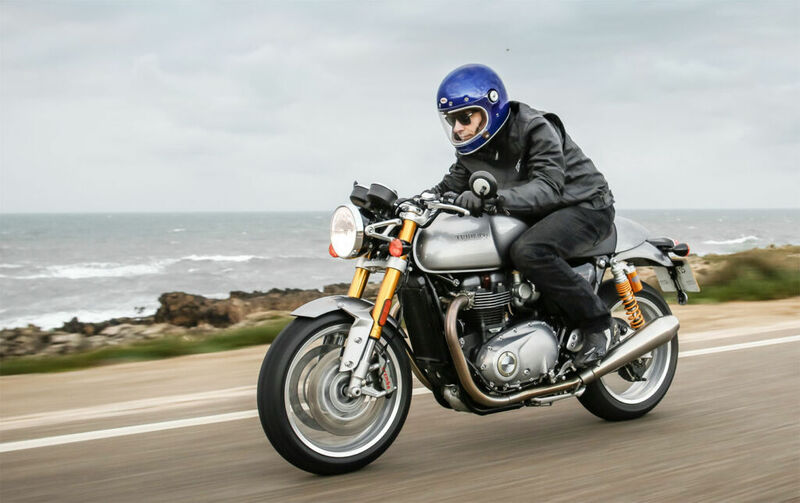 The Thruxton may look like it is from the ’60s but don’t let this fool you. It is packed with modern technology and the latest safety features. The performance is superb too with the 1200 cc engine delivering rapid speed with a touch of the throttle. The bike gets its name from Thruxton race circuit in Hampshire, where Triumph had success in their racing days. I grew up on stories of my Grandad building his own TT machines and rising on the Isle of Man. Also, him helping my Uncle construct Cafe Racers in their shed after work. 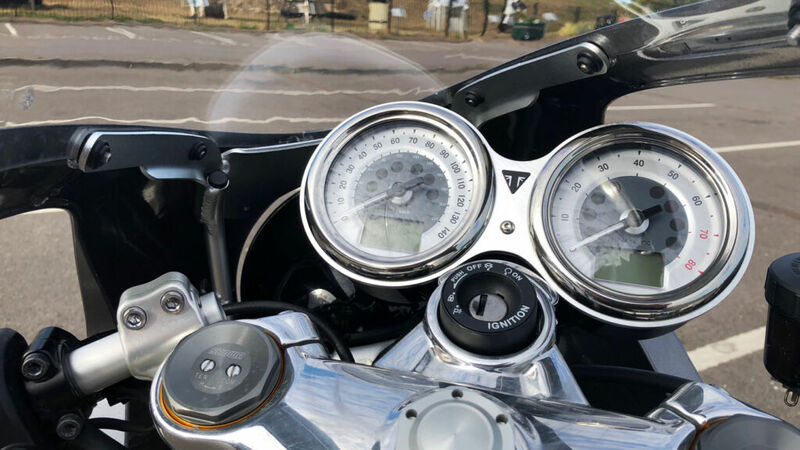 Riding the Triumph Thruxton R gave me a feel of what they experienced and it was great. The 1200cc engine delivers a good amount of torque and is very brisk when pushed along. The parallel-twin engine is essentially a tuned version of the Bonneville T120 unit, sharing its SOHC, eight-valve layout and liquid-cooling. Upgraded to increase the compression ratio with a lighter crankshaft assembly allowing it to rev 500rpm higher. The result is a maximum output of 96bhp at 6750rpm. The Bonneville’s has 79bhp. There are three engine mode settings to control the power to the wheel, with Rain, Road, and Sport being the options. I think they speak for themselves and needless to say, I kept Sports mode engaged each time I turned the bike on. A good six-speed gearbox allows for whatever type of riding you wish to do. Third gear is awesome, it allows you to plod along at low speeds but, ‘O boy’ does it thrust you forward when the road clears and you can turn the throttle. The noise from the exhaust is superb, with a burble when you drop down the gears and Coast along. Handling as you expect from a Cafe Racer is super sharp, with great agility allowing you to flick the bike around and have so much fun. The riding position augments the ability to change direction quickly and is not uncomfortable even after an hour or more of riding. I must admit I had to find my best leg arrangement on the first couple of short outings. By this I mean, tight hugging the tank or fully wide open like a commuter on a train. I found a compromise with legs splayed slightly. The suspension is good and can be adjusted with changes to the front Showa Big Piston fork settings. It soaks up all the worst of Britain’s crumbling road surfaces. I would imagine it would be equally as good racing on a circuit, and the combination of engine performance and handling point to it being a great track day bike. Top speed is 130mph. All this speed needs good brakes and the Brembo unit with four-piston monobloc front brake callipers are great. 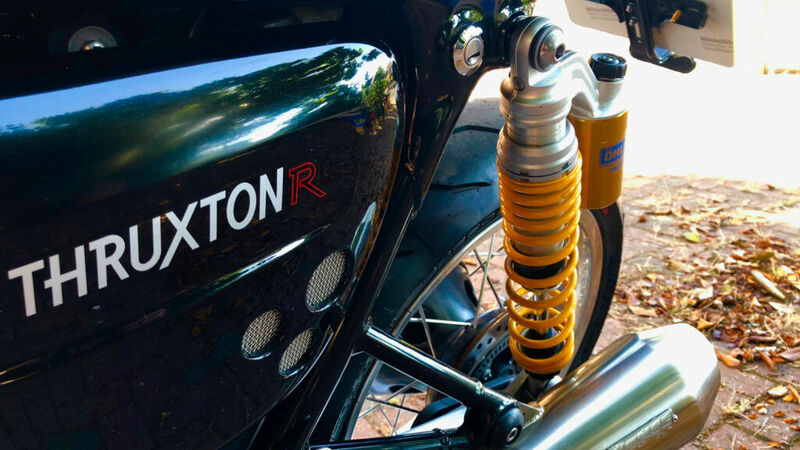 I thoroughly enjoyed my time riding the Thruxton R and would happily have one. It does exactly what it is designed to do, and one of those is to give the rider pleasure. This it does in spades. It has a 14.5-litre tank which delivers an average of 50mpg and around 43mpg when pushed hard. This is enough for about an hour and a half of fast riding before refuelling by which time you would be wanting a stretch. You can toggle through various information modes which appear in the retro style display, by using a button on the left handlebar. Average fuel consumption is one of the options, while in the righthand display a fuel gauge shows you how much is left in the tank and mileage range. Servicing is every ten thousand miles. It comes with an unlimited two-year warranty. A great buy at the price. Thanks to Triumph UK for the trip back in time and reliving what my Grandad and Uncle experienced in the 1960s. CO2 figures **EURO 4 Standard: 106.0 g/km **CO2 and fuel consumption are measured according to regulation 168/2013/EC. 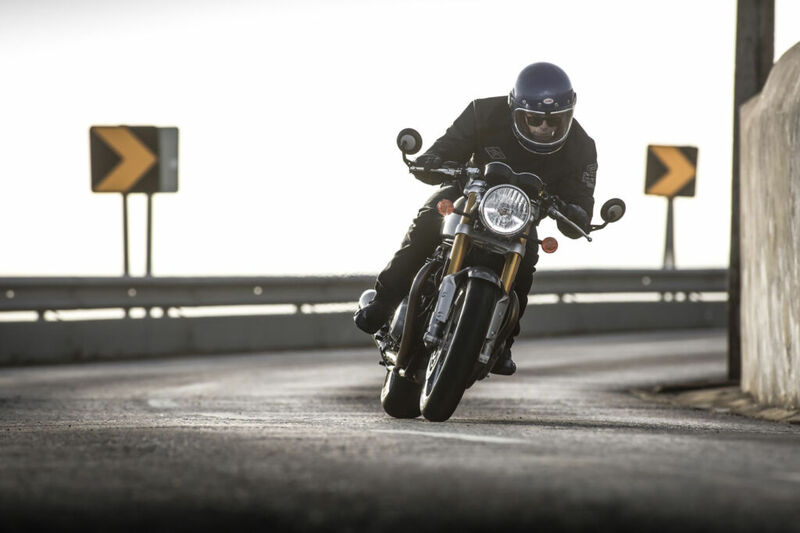 Find out more about the Triumph Thruxton R here.